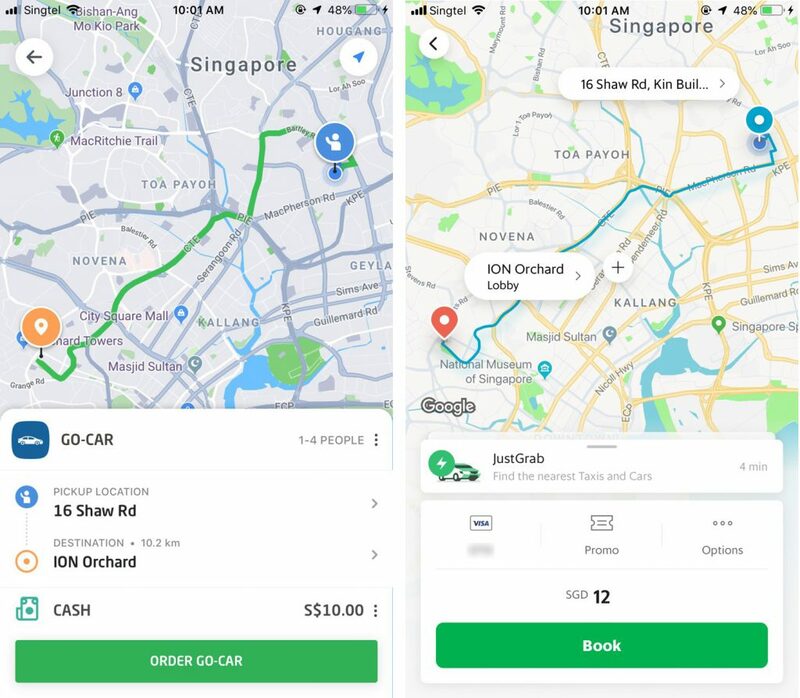 Is Go-Jek Singapore A Worthy Competitor To "End The Grab Monopoly"? At around 3pm on Wednesday, my colleague and I received a notification on our phones that indicated the end of a 4-day wait. You see, unlike many DBS cardholders who were able to get onto the waitlist of Go-Jek’s beta launch in Singapore last Thursday (29 Nov), we weren’t able to register our interest until we got back from our overseas trip on Saturday afternoon. Wednesday also marked my very first Go-Jek ride in Singapore. Apart from the sweet $5 off my ride (I’m Singaporean after all), the process of getting a ride was also pleasant. The UI was uncluttered, my request was accepted almost immediately, and my driver was a particularly chatty one who spent the entire ride raving about his experience with Go-Jek (particularly, its incentives) so far. Of course, I might have just been lucky for my first ride. When I used the app for the second time last night, I got the dreaded notification telling me that no drivers wanted to take my ride request after a 7-minute wait. It was only after trying for the second time (and waiting for around 3 minutes) that I finally got a match. As frustrating as the wait was, a $6 ride from Orchard Road to Hougang is hard to pass up. I’ve yet to take my third ride on Go-Jek, but the app has been promising…so far. But perhaps, this sentiment is also tainted by the general dissatisfaction that has been buzzing (both online and off) among commuters and drivers about the state of ride-hailing in Singapore. Be it the lack of promo codes for commuters, or less attractive incentives for drivers, many have been vocal about their hopes for more options to ride and drive, post-Uber. Thus, the arrival of Indonesian giant Go-Jek was definitely a welcomed piece of news. 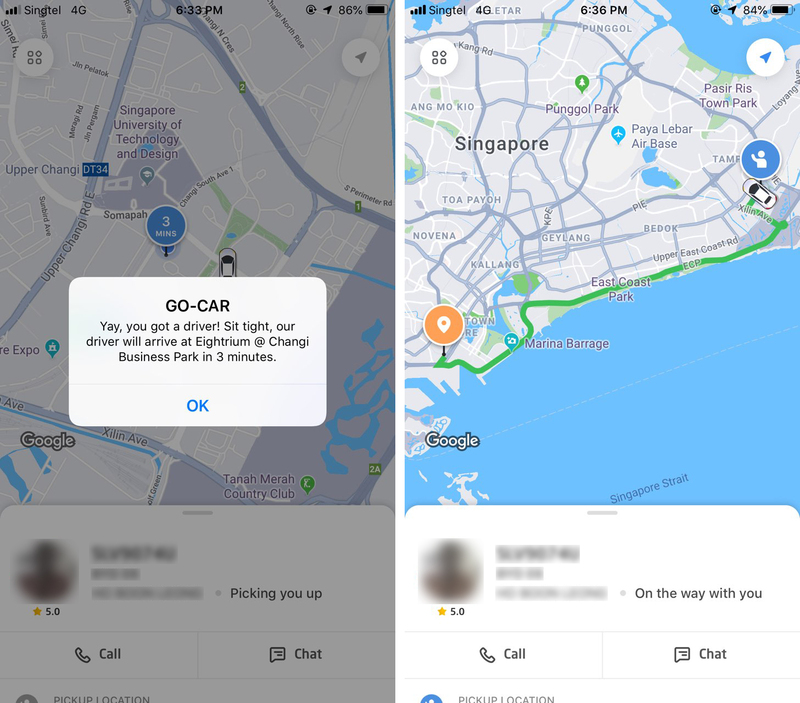 Go-Jek’s Go-Car service in Singapore is just over a week-old, and with many still waiting for their turn, I got in touch with a few commuters who have used the app, and find out if Go-Jek was the platform that they were waiting for. 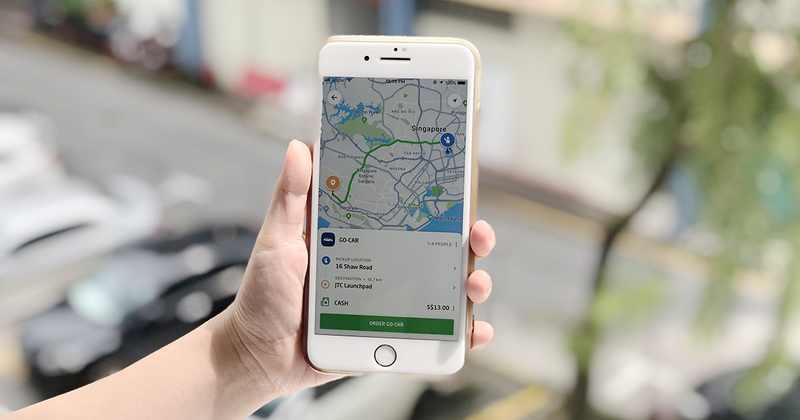 But before diving into their experiences, I asked them about the gripes they have about the current state of ride-hailing in Singapore, and the answer was (unanimously) “price”. “There is a feeling that Grab sneakily raised their prices when Uber left. Having more choices is generally good for the consumer, especially when you’re stuck in a heavily-populated area,” chimed in another. Of course, as much as Singaporeans are a practical lot, ride-hailing is more than just a race to the bottom via attractive promo codes. “[I’m dissatisfied with Grab’s] opaque customer service and surge pricing algorithms. Not forgetting subpar UX/UI, rider experience and obnoxious corporate statements,” said a particularly incensed respondent. Another respondent echoed his sentiments, and added that “the other (ride-hailing platforms other than Grab) aren’t options [you’ll take] daily”. The large majority of respondents are early users of Go-Jek’s app, and didn’t waste any time in trying it out (and using the promo codes) within the first few days of launch. As for their first impressions of the app, “clean” is a common adjective used to describe its UI, and a respondent even said it was “familiar-looking” because it looked a lot like Uber’s UI. Of course, this uncluttered interface might change when (and if) Go-Jek brings in more of their services. 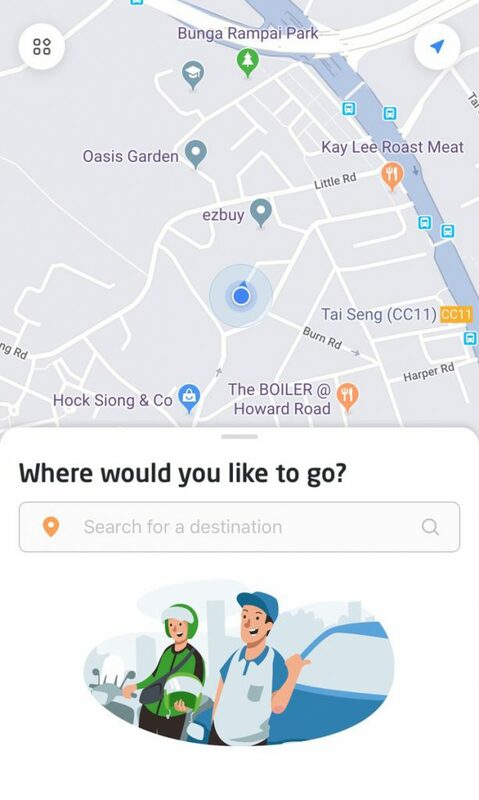 The Indonesian version of the app potentially offers a good preview of how the Go-Jek’s Singapore app might look like when more features are launched. As for the UX, one respondent shared that his experience has been “smooth and responsive, with frequent updates on driver location and estimated time of arrival”. 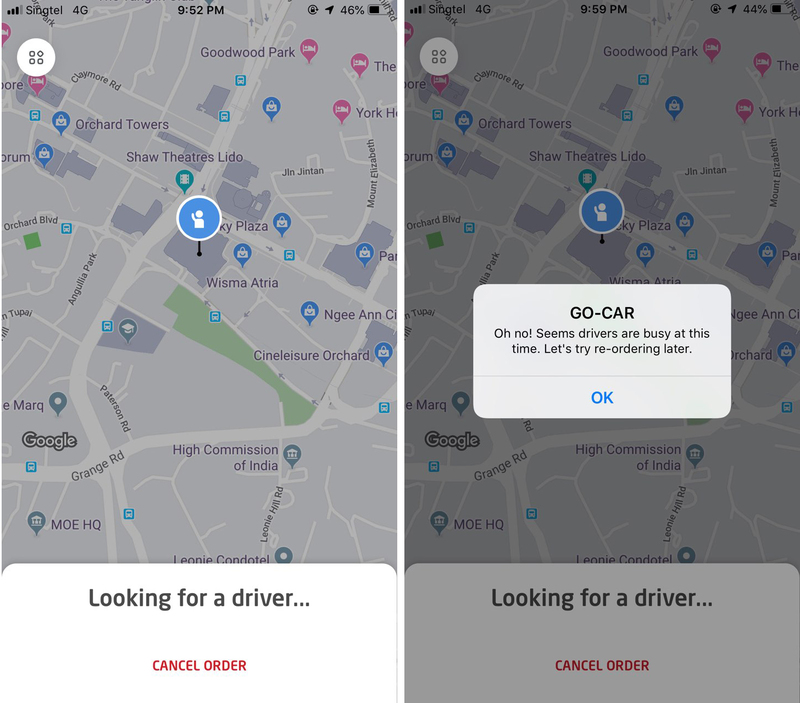 However, another respondent, while satisfied with the app, mentioned he needs to wait for the app to detect his location before he can change the pick-up point. Now comes the million-dollar question – how are the prices like? 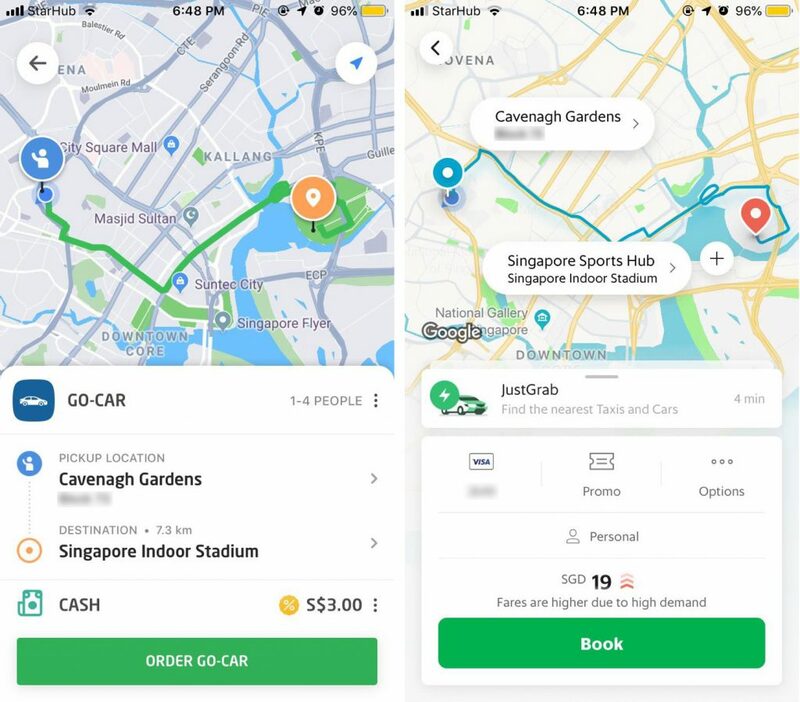 Responses ranged from “consistently half of Grab” to “up to 30% less during surge”, but the general sentiment is that even without the $5 promo code, Go-Jek’s fare are still very competitive. One respondent even went so far as to say that he “can’t really call it ‘competitive’ if it’s blowing the competition out of the water”, but quickly added, “…for now”. Even without taking into account the $5 promo code, the fare on Go-Jek was still 50% that of Grab’s. But this price discrepancy is likely due to the surge pricing which only Grab has in place currently. In our previous article, a Go-Jek spokesperson revealed that for now, the fares will not include dynamic pricing. For now, we will be using a base fare and kilometres travelled. We will not be adding on an additional price per minute like other companies in this sector. What about periods with surge, then? However, all this might change once Go-Jek implements surge pricing, so I’d recommend commuters to enjoy the lower prices while they last. Slightly Longer Wait Times, ‘Buggy’ Matching System? While respondents were generally satisfied with their rides and drivers, one mentioned that the wait for a ride can be “slightly longer – about 7 to 10 mins after confirmation”. “For both my Go-Jek rides, the driver was quite a considerable distance away, and it took about 10 mins for them to come to my location,” added another. Drivers cancelling on riders was another issue that two respondents brought up. A respondent got cancelled on by two different drivers – one without any reason, and the other stating that he was “too far away” from the respondent. Another one shared that he was even cancelled “3 times in a row, by the same driver”. As of now, there doesn’t seem to be any cancellation fees set in place for drivers or riders in Singapore, but that might change eventually. The Channel NewsAsia team followed a Go-Jek rider in Indonesia for a day, and “found that once a booking comes in, it is a race against time: The rider has 10 seconds to accept, otherwise the booking is considered cancelled”. If there are 3 cancellations within a minute, the rider’s app will be suspended for 5 minutes. It is uncertain if the cancellation policy will be similar in Singapore. Two other respondents shared that while they can’t be too quick to pledge their preference for the Indonesian superapp, they would if “[Go-Jek is] able to keep this up in the long run”. Keep up with being consistent and it’ll definitely have me as their loyal customer. For two others, the numbers game is still the most important factor that will sway their preference. Just like the absence of surge pricing at the moment, the absence of a digital wallet like Grab’s GrabPay is very likely temporary. 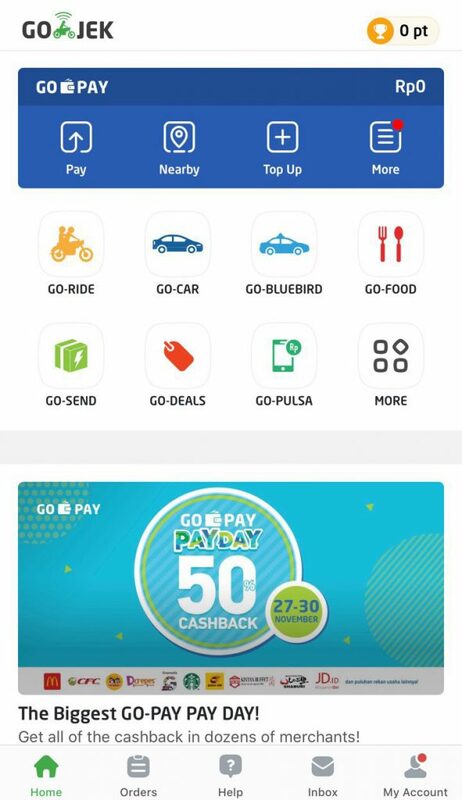 Go-Jek’s digital wallet, Go-Pay, could very well be on the way into our phones come Go-Jek’s full roll-out in Singapore. Throughout the interviews, a similar sentiment rang clear – that Go-Jek was “a serious competitor” to Grab, given its experience in other Southeast Asian countries and its sizeable market traction. What’s interesting is that while my questions didn’t mention any specific existing ride-hailing platforms, their answers all pointed towards Grab. But perhaps a reason why none of the other players were discussed (other than just being mentioned in passing) is the fact that they just don’t have the hold on the market like Grab has. “None of the other ride-hailing apps so far have the financial muscle and resources to compete with Grab,” explained one respondent. Therefore, it’s no surprise that a few declared that Go-Jek was “a worthy competitor” that could “put an end to the [Grab] monopoly”. 2019 is going to be a very interesting year for the ride-hailing industry – watch this space for updates.